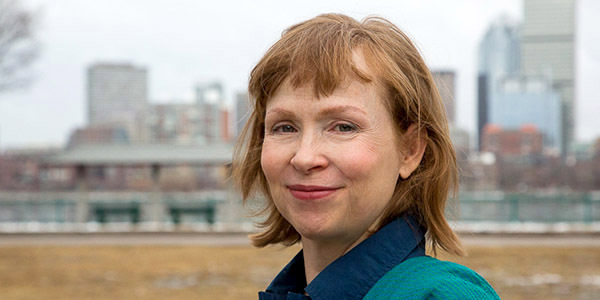 Professor Mary C. Fuller is head of the MIT Literature section. She works on the history of early modern voyages, exploration, and colonization. She is also interested in material books and how readers use them, in the past and in the present. Her books include Voyages in Print: English Travel to America, 1576-1624 (Cambridge University Press, 1995) and Remembering the Early Modern Voyage: English Narratives in the Age of European Expansion (Palgrave, 2008). Q: What opportunities to you see for applying insights, knowledge, and methodologies from literature to promote socially beneficial and ethical uses of computing and AI technologies? In Literature, we study meaning-making through narrative and form. Both these areas of attention carry possibilities for collaboration and exchange with computation and AI. People sometimes say, “I wish I could read” a given text. Usually, they don’t mean that they can’t, literally, read it, but rather that the very things that make literary language so dense with information are opaque or even a barrier for them. By contrast, an expert reader gains information not only from content that can be summarized, but also from the formal structures that organize and amplify what the text says and shape how it makes us feel: the beat pattern of poetic language, the numerology of some Renaissance poems, or any writer’s play with syntax. That disparity could change. We already have many tools and strategies to aid reading, from footnotes and plot summaries to book groups and online forums; most deal with content, rather than form. But formal patterns are easy for machines to recognize and represent: In the age of AI, we could invent new tools for reading. If the expert reading skills we teach could be made even partially available to readers outside the academy, the gateway to the archive of culture would be wider. Q: How can literature inform AI and computing projects about the risks and rewards of technological advances in terms of societal and ethical implications? Narrative is already a research area in AI, as a “keystone competence” for computational modeling of intelligence as well as an aspect of computationally enabled creativity. Activating the existing human capacity to understand stories at depth is something we do every day. As complex systems, stories encode a range of interpretive possibilities; because they can also function, in whole or in part, as memorable metaphors for yet other stories, those possibilities aren’t easily exhausted. Witness the invocation of Mary Shelley’s Frankenstein by commentators writing about the ambiguous potentials of modern technological innovation. In Shelley’s novel, a man decides in deliberate isolation to make something. He makes it because he can, and the exercise of capability excites him; once the thing is made, he abandons it in horror. Left to make sense of its existence and environment as best it can, what he makes ultimately becomes a monster and comes back to destroy everything the man loves. Shelley reminds us to ask, of our powerful inventions, “what could possibly go wrong?” and to be worried by secrecy and the failure to predict or own outcomes. Her monster has other lessons to offer, however: As the French sociologist Bruno Latour has suggested in another context, perhaps it’s not that we shouldn’t create new things, so much as that we can’t walk away from what has been created — an ongoing relationship of care is necessary. How to effect that ongoing care is both a technical problem in designing and using deep learning systems — for instance, making a system’s decision process more transparent — and a question of policy. Who will care for these systems, and how will the costs of care be funded? We might identify these technical or governance problems independently: So, what is the utility of Shelley’s novel, or of narrative in general? Stories allow us to model interpretive, affective, ethical choices; they also become common ground, conceptual meeting places that can serve to gather very different kinds of interlocutors around a common object. We need these: Computer science alone can’t shoulder the task of modeling the future, understanding social and global impacts, and making ethical decisions. All hail Judith, the female Beowulf! The medieval heroine gets a fresh reboot in a new theater production by global dynamo Karin Coonrod, who brings her innovative take on the Anglo-Saxon epic to the MIT Center for Art, Science & Technology (CAST). As part of the CAST Visiting Artists program, Coonrod will conduct a week-long workshop from March 1st to the 6th, and a workshop presentation of Judith on Tuesday, March 5th in Building W97. Coonrod has carved a global career creating genre-breaking theater productions that mix old and new technologies and ancient and modern languages—and setting them in public spaces. Her CAST residency is hosted by Diana Henderson, Professor of Literature, MIT. The two initially collaborated in 2016 when Coonrod’s theater company, Compagnia de’ Colombari, staged The Merchant of Venice in the Venice ghetto; Henderson interviewed the actors and creative team about the process as part of the Global Shakespeares project at MIT. In this CAST interview, they exchange notes about the exciting mash-up of disciplines involved in her MIT residency. CAST: You collaborated together on The Merchant of Venice a few years back. How did that collaboration lead to the CAST residency? Coonrod: We established a deep connection in Venice. Besides our shared love of text flourishing in theatrical expression, Diana is remarkable for bringing people together. I am a beneficiary of her galvanizing energy. Henderson: So many collaborations come about as a result of paths crossing informally, of networks among people that lead serendipitously to work projects as well as friendships. This certainly was a wonderful instance of that. 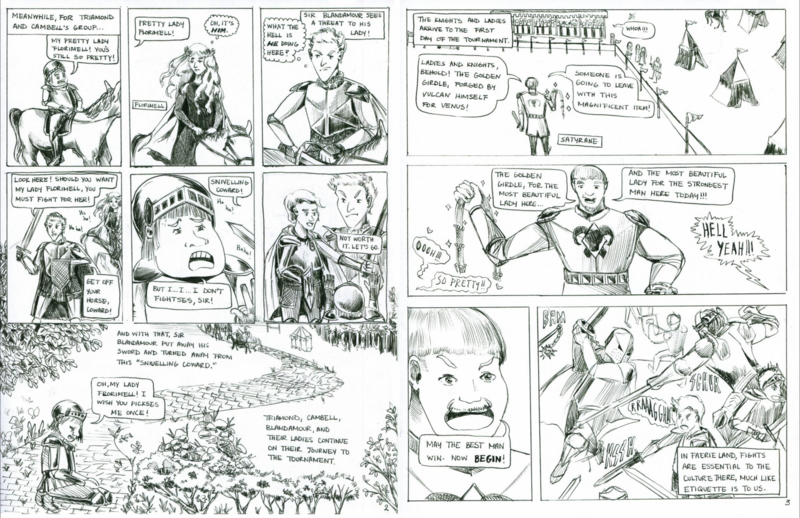 An MIT-angled context to add: mine was one of the “second generation” of MIT Global Shakespeares projects, and I’m indebted to my trail-blazing senior colleague Pete Donaldson for initiating the first generation of these. CAST: How does your work—as theater director and as researcher—inform the other? Coonrod: I love research and scholarship and all the people who go deeper into it than I do—and I relish their findings! With Judith, there is the possibility of a continuous exploration of Biblical narrative, Anglo-Saxon literature, along with the wealth of iconography and musical composition dedicated to the subject. Everything informs the project as I sculpt a modern voice for the stage. Henderson: This is one of the reasons Karin is such an extraordinary theater artist and collaborator. She is among the cohort of artistic practitioners who truly love digging deep into scholarship, and aren’t at all put off or intimidated by the analytic, academic realm that most scholarship inhabits. CAST: How challenging is it to learn to recite Old English? Does research inform that process? Henderson: We are so fortunate at MIT to have one of the most dynamic teacher/scholars in the whole medieval domain, Arthur Bahr, who has gotten a surprising number of MIT students “hooked” on Anglo-Saxon—so much so they lobbied for him to teach a second semester of Anglo-Saxon readings last autumn! CAST: What makes Judith so compelling as literature and theater, particularly now? Coonrod: Judith is compelling as an Anglo-Saxon telling of a Hebrew heroine in a time when it was mostly all about heroes (Beowulf, etc.) Her purity is strong and I like the theatrical challenge of investigating that trait. She’s often portrayed as strategically seductive (the apocryphal version paints her in this way) but in fact she is a truth-to-power girl—I’m bringing that out in the story. My long-time journey and calling in this theater business is that a girl could also represent humanity. Now it happens to be cool. Henderson: Judith and Holofernes is such a staple of early modern visual arts, too—it’s a great route into gender studies and representation with more historical awareness. And yes, how timely! CAST: How will you tap into the MIT community during your week-long residency? Coonrod: We are involving Anglo-Saxon students from Arthur Bahr’s classes, musicians and singers from Bill Cutter’s students, colleagues, students from Diana’s circle, and students involved at the theater. I believe theater is only good if it is Dionysian, so I think there will be a great exchange of mind and spirit in the days of making this. Henderson: MIT students love a challenging problem, and trying to understand these works demands strong imagination as well as a consciousness of time, loss, and mortality: it really asks a lot of young people, especially in the US, and at MIT, to think back through the long past. CAST: What can we expect to see in the workshop presentation on March 5th that’s open to the public? Coonrod: It will be a glorified sitzprobe. Mostly we’re working on the shaping the trajectory of the music and words. I want to involve some special projections of the Anglo-Saxon words and their modern English equivalent so as to make the Wall itself as a character rather than a mere projection of the supertitles; I do want the satisfaction of staging two scenes with light and the Wall to get a sense of what the space is telling us. Henderson: I love the idea of the Wall as a character, in a very new and different way than Shakespeare made a (great) joke in A Midsummer Night’s Dream! Here the stones that outlast us will haunt such an idea—even if the walls themselves are part of our newest, state-of-the-art theater building! CAST: Who are the artists you’re bringing into this production of Judith? Coonrod: I am working closely with composer Paul Vasile with whom I have worked since 2002 on Monteverdi’s Orfeo and Strangers and Other Angels. We are also bringing close collaborators from Compagnia de’ Colombari: Sarah Heltzel to play Judith and Sorab Wadia to play Ozias, Prince of Bethulia. My close collaborator and friend John Conklin will be at the MIT presentation—Oana Botez, a lecturer in costume design at MIT, has also been a close collaborator on many of my productions. Henderson: Let me add that Sorab, who played the first of the five Shylocks in Karin’s innovative treatment of that character, has been an invaluable collaborator on our MITx-based “Merchant Module” as well: his explanation of how verse works makes the kind of metrical analysis I do come alive for students. 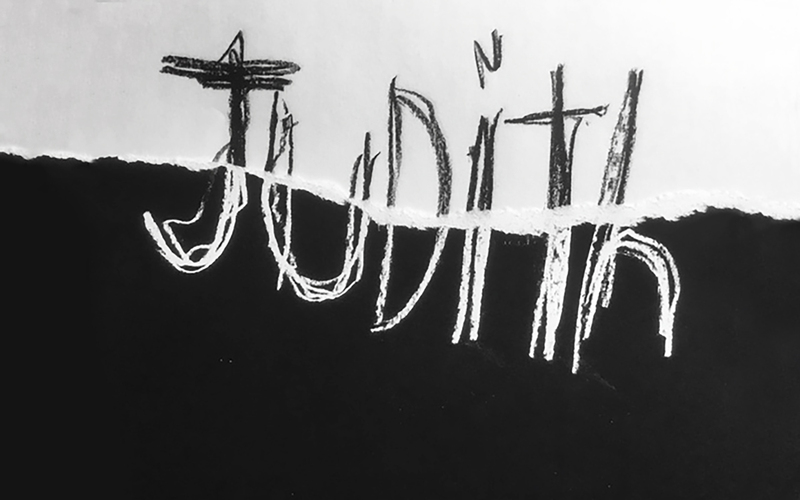 CAST: Judith will blend old and new technologies as well as Old English and modern English dialect. Does that mix reinvigorate modern theater? Coonrod: That’s what I am always after! Judith is all a bit of a wild experiment—I am deeply thrilled to bring it into the light of day with the engagement of the MIT community. 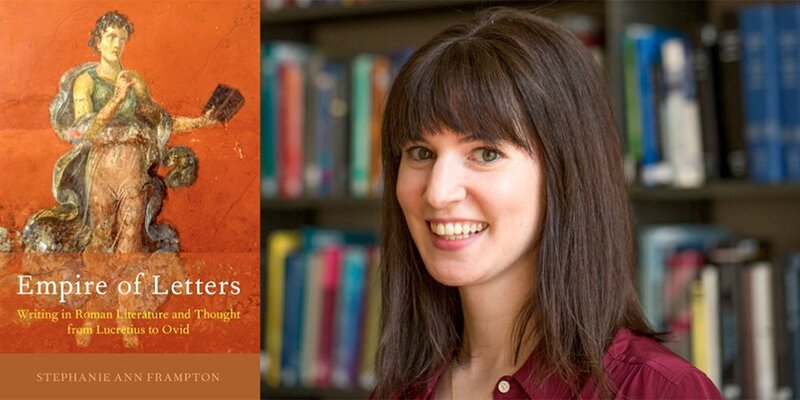 Associate Professor of Literature Stephanie Frampton was recently featured in MIT News to discuss her recently published book, Empire of Letters, now available through Oxford University Press. Special ‘hors serie’ Seminar of the Film-Philosophy and Cross-Media Seminar on Media Ecologies, Ethics and Affect. Organized in collaboration with MIT, convened by Literature at MIT Associate Professor Eugenie Brinkema. With Nadine Boljkovac and Julius Greve. For more information about the event, visit the University of Amsterdam website.